← Make a difference in Texas. Block walk for Briscoe Cain. PIEDRAS NEGRAS, Coahuila — Two cartel gunmen fleeing from a raging gun battle with Mexican authorities ran through U.S. border security measures twice as they crossed into Texas and back; using their vehicle to ram barriers. The cartel gunmen were able to cross into Eagle Pass through International Bridge #2 by running the security checkpoints. Shortly after they crossed back through a second bridge that was closed at the time. The gunmen used their vehicle to ram security barriers and later ditched it escape on foot. The violence began overnight near the rural community of Nava, Coahuila, when authorities received information about two gunmen riding in a late model white Toyota Tundra, information provided to Breitbart Texas by Coahuila law enforcement revealed. State police officers with a special investigative unit spotted the vehicle along Boulevard Carranza near the intersection with Airport Boulevard in the border city of Piedras Negras. Officers tried to pull over the gunmen but were met with gunfire as they sped off–setting off a high-speed chase. The gunmen were able to reach the main plaza in Piedras Negras, Plaza de Las Culturas, where they once again engaged law enforcement in a short firefight. As they made their way to the International Bridge #2, gunmen rammed their way through other vehicles and barriers as they used the inbound lanes through Mexican Customs to reach the U.S. side of the bridge. Coahuila state police officers contacted their counterparts in Texas. Before American authorities were able to apprehend the shooters, they made their way to another international bridge, locally known as Bridge 1. While the crossing was closed at the time, the gunmen were able to ram through the security barriers and make their way back into Mexico. The Mexican Army, Fuerza Coahuila, and local police officers had been combing the area however, they were able to make their way to a nearby neighborhood called Mundo Nuevo where they abonded the vehicle and fled on foot. Authorities were able to locate the white SUV that had multiple bullet holes and extensive body damage. 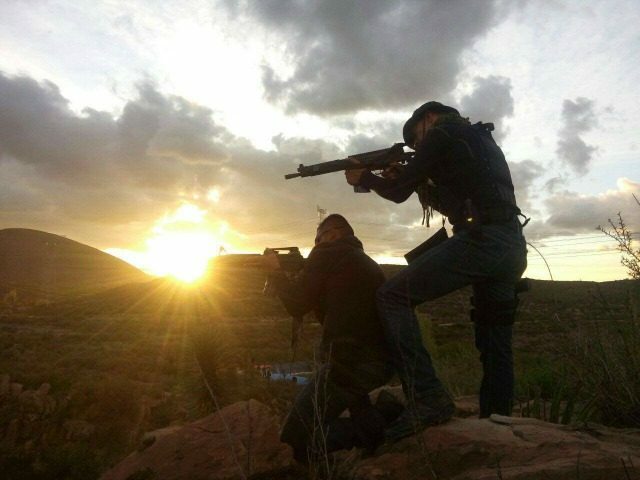 During the initial gun battle and chase, two Coahuila police officers from the investigative unit and six officers with Fuerza Coahuila were injured. The six officers with Fuerza Coahuila appear to have been injured in a crash during the high-speed chase. Authorities have not revealed how the two other officers were injured. Shortly after 11 p.m. on Thursday, July 13, a white Toyota Tundra that had avoided inspection in Piedras Negras, Mexico was observed at Camino Real International Bridge. CBP officers temporarily stopped traffic as a precaution. As CBP officers approached the vehicle, it accelerated at a high rate of speed and fled north through the outbound lanes and shortly thereafter fled south at Eagle Pass Bridge I, which had closed for the evening at 11 p.m., crashing through a locked gate. Mexican military authorities in Piedras Negras stopped the vehicle and arrested the occupants. CBP would defer to Government of Mexico authorities regarding any inquiries regarding the subjects and the investigation. Editor’s Note 1: This article has been updated to reflect CBP’s comment. Editor’s Note 2: Breitbart Texas traveled to the Mexican States of Tamaulipas, Coahuila, and Nuevo León to recruit citizen journalists willing to risk their lives and expose the cartels silencing their communities. The writers would face certain death at the hands of the various cartels that operate in those areas including the Gulf Cartel and Los Zetas if a pseudonym were not used. Breitbart Texas’ Cartel Chronicles are published in both English and in their original Spanish. This article was written by Coahuila’s “J.M. Martinez” and Breitbart Texas’ Ildefonso Ortiz. This entry was posted in Border Security, Pearland TEA Party. Bookmark the permalink.